“Kiev at Night” is Elena’s original variation of the original “Torte Kiev” (<-click to view). 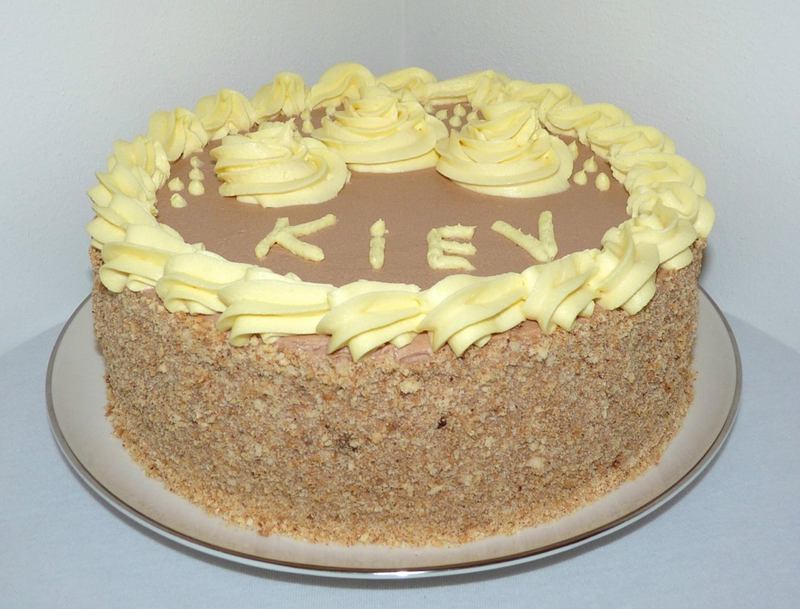 Torte Kiev, is not just a symbol of the City of Kiev in Ukraine, but is a celebration of best taste and perfection. In years past, this torte was only available in Kiev, and was a very popular souvenir or gift that visitors would buy to take home for family and friends, to commemorate their visit to one of the world’d most beautiful cities. “Kiev at Night” combines all the special qualities and goodness of the original, but adds two of everybody’s favorite flavors: chocolate and coffee! What’s not to like? This is NOT a cake-like torte. 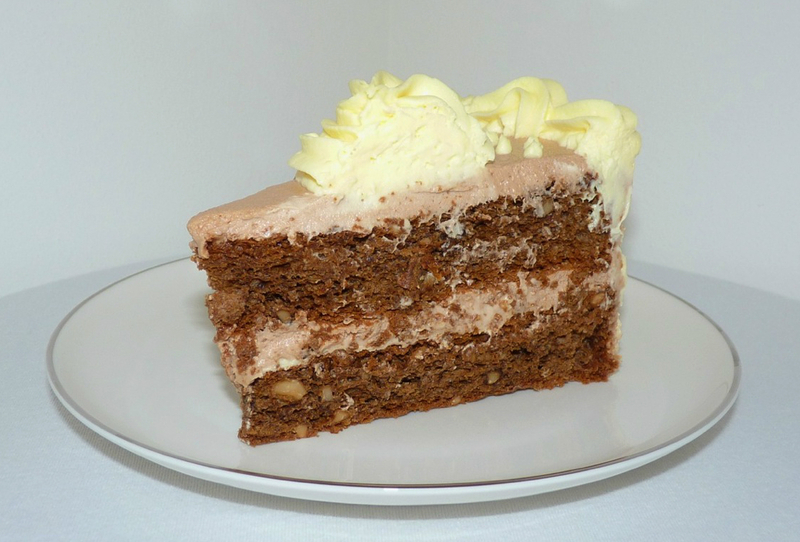 It is 2 layers of rich, chewy goodness made from a cashew based meringue baked to perfection, infused with chocolate and coffee in the batter and, in the secret recipe hazelnut Bavarian Cream filling and topping.